People now search for homes online. Listing your condo with Above Atlanta will give your property tremendous exposure. Our website is the most visited high rise condo website in Atlanta averaging over 3000 unique visitors each day. In addition to the local MLS, where over 15,000 local agents use for searching real estate for their clients, your listing will also be featured on thousands of real estate websites such as Zillow, Trulia, and Realtor.com, not to mention highlighted on our website. Our knowledgeable agents work hard at helping you get top dollar for your home. When buying a condo, it is important that your agent is educated about the specific condominiums in the city. You will not only be buying a condo, but becoming a member of the Home Owners Association, also known as the HOA. Our agents are condo-specialists, which means they know what to research and inform you about concerning the HOA. No one wants to buy in a building and get hit with an assessment. The contracts for condo purchases are also slightly different than for single family homes. Our contracts were created by lawyers with the Georgia Board of Realtors, which protect your interests. Also, it's important that your agent advises you to protect you from buying into a building that you will regret. Knowledge of condo amenities, location and parking, as well as restrictions is an aspect that our agents excel at over typical agents selling homes. Above Atlanta utilizes a web-based technology that our agents use that has all the listed condos in the city and can email you the listings that match your criteria. Many of our agents have knowledge of properties that are unlisted, giving you the edge before they are marketed to the public. Listing your condo for rent with Above Atlanta is a smart decision. Your rental will get maximum exposure by being featured on our top ranked website with over 3000 unique visitors each day. It will also appear on thousands of websites including Zillow, Trulia and Realtor.com. Our leases were created by lawyers with the Georgia Board of Realtors and protect your interest. We provide the application, then pull credit on applicants, as well as Telecheck, eviction records and criminal background if needed. We verify income, as well as employment. We perform a walk-thru with the accepted tenant prior to the lease term to sign off on the current condition to protect your assets. Are you looking for a rental? 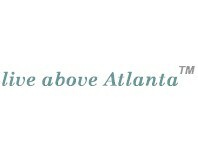 Above Atlanta has access to listed condos for rent, as well as knowledge of apartment rentals. With all the new construction the rental market is continually changing. We will advise you on locations that are convenient for you and meet your criteria. We send you listings to review and point you in the best direction for your needs. Many of our agents were the top onsite sales agents for condominiums in Atlanta such as 1010 Midtown and Gallery. The marketing process from concept to sold out is our priority to give developers peace of mind so they can focus on construction. Market Analysis - We provide in-depth market data to meet the goal of getting the most money per unit. Marketing Strategies - We put together the plan to best promote your project. This includes the model home, sales center set-up, consultation in interior and exterior and the total itemized budget. Global Marketing - Our partnership with a leading luxury global marketing company will put your property on prominent global media brands including The New York Times, The Wall Street Journal, Robb Report, JetSet Magazine, International Herald Tribune. Its also translated and distributed to dozens of prominent real estate sites throughout Asia, Europe, Australia, the Middle East, South America and more. Process - We consult with you to determine unit by unit pricing based on market analysis. Consultation on staffing, as well as outlining and setting up social media, public relations and advertising. Our associations with local real estate attorneys will guide you to create the HOA docs. Our partnership with local media companies will provide you the best collateral, floorplans and signage. We have also partnered with HOA management companies to manage your property. Our agents utilize a CRM that provides you with the daily traffic, as well as the entire transaction from contract to close. We have also partnered with a national home warranty company to help you provide your Buyers a warranty on the appliances and systems of the units.